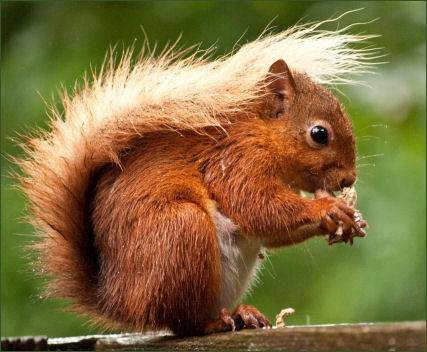 The Snaizeholme red squirrel viewing area lies in the heart of the Widdale Red Squirrel Reserve. Although coniferous woodland is ideal habitat for red squirrels, they can be difficult to see in such densely planted woodlands. The Yorkshire Dales National Park Authority has been working with the local landowners to create a red squirrel viewing area for the public. The viewpoint and surrounding woodland offer an excellent chance of getting superb views of red squirrels as they visit a feeder in a woodland clearing. With luck you may also see roe deer, along with a variety of woodland birds such as siskin, lesser redpoll and perhaps even a common crossbill. 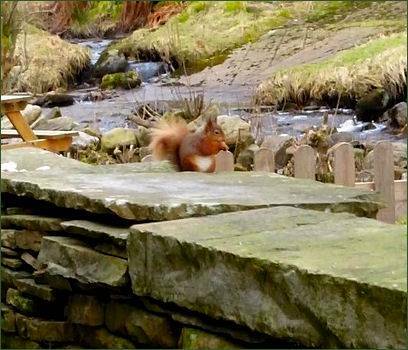 The viewpoint can be reached by following the Snaizeholme red squirrel trail, a 9.5 mile (15km) self-guided linear walk, starting and finishing at the Dales Countryside Museum in Hawes. The route crosses some moderate to difficult terrain, including rough pasture and unsurfaced footpaths, and is recommended for experienced walkers with map reading and compass skills - allow about six hours. Full walking equipment will be required, including strong footwear and water and weatherproof clothing. If you don't want to follow the full trail, you can take advantage of the Little Red Bus service from the Dales Countryside Museum that will take you to Snaizeholme. From the drop-off point, it is a 2.5 mile circular walk to the red squirrel viewpoint. Alternatively, you could walk to Snaizeholme from Hawes along the red squirrel trail - approximately six miles one way - and then catch the bus back to Hawes.